* Please contact us for prices for more than 6 people and for other destinations. More than 6 pax please call or email us for price. 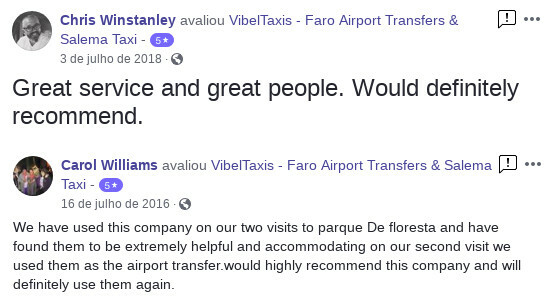 Our company provide a direct private Faro Airport transfer service, ideal for a family holidays or business trip in Algarve. All transfers are operated by a professional private chauffeur, to drive you everywhere in the Algarve in safety and comfort. VibelTaxis private transfers in the western of the Algarve provides tailor made service for all needs. 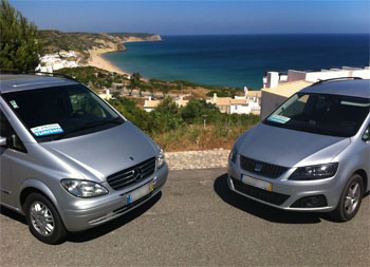 We have a vehicle fleet for small and large groups arriving at Faro Airport or traveling in the Algarve. Use our online quotation system to check our transfers prices from or to Faro Airport. We have children seats available, please request them at reservation form with correct ages so we can organize the adequate ones. Please notice that police and traffic regulations are very strict regarding the use of child seats. We have a 24 hour airport transfer service. Please do not hesitate to contact us for any queries, requests or changes and any kind of transfer or special service you may need. How to book your private transfer in Algarve? Use our quotation system to select the destination of the private transfer, check the price and book. After completing and submitting the form, check and reply the email to confirm the reservation. Pay directly to the driver (only Euros) or online (credit card and PayPal), as is most convenient. 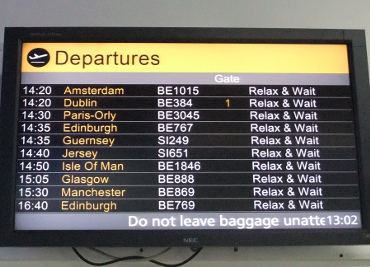 At Faro Airport arrivals area we will hold our VibelTaxis sign with your name written. 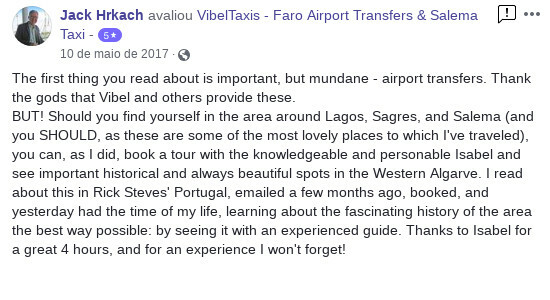 Vibeltaxis Salema Taxi is a fully licensed, reliable and experienced Taxi Company based in Salema since 1995, providing local Taxi Service and Faro Airport Taxi Transfers to the Western Algarve: Lagos, Praia da Luz, Burgau, Salema, Sagres, Aljezur. Private Taxi Transfer from/to Lagos, Praia da Luz, Brugau, Salema, Sagres, Aljezur. Taxi Service 24H for Airport Transfers, Golf Transfers or just local Taxi Service. Join us to take you on a scenic, historical and sensorial sightseeing experience. © 2019 Vibeltaxis, Lda. All Rights Reserved.